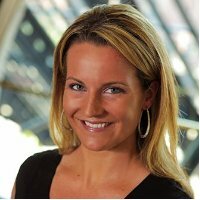 In 1999, Jess set out to start a technology company that would make the latest technologies available to businesses with Applied Innovations, Inc. Later, Jess saw the tremendous growth of cloud computing and created AwesomeCloud Services, LLC as a channel-driven business focused entirely on offering the highest level of service and support to technology organizations. Check out Jess’ personal website, jesscoburn.com, and connect on LinkedIn. As Chief Systems Architect, Wayne Lansdowne is responsible for the entire AwesomeCloud infrastructure and performance. With over 10 years of experience at the company, Wayne has filled many roles and truly knows the ins and outs of the business, having started out with a focus on customer support and progressed into more specialized roles throughout the years. As Director of Sales, Cara is responsible for working with each of our partners to ensure they’re prepared to grow their businesses by reselling cloud services to their clients. You’ll often find Cara on the phone working with one our existing partners. Cara spent over a decade in technology, including roles in Website Performance Monitoring, Corporate Software Training, and Technical Writing. 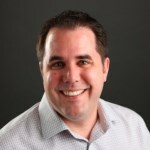 As Director of Network Operations, Dan Farrell is responsible for management of security and uptime of the AwesomeCloud network. A network engineer by trade, Dan serves a range of functions at AwesomeCloud. He maintains the policies and procedures related to network operations, as well as engages with clients to resolve individual security needs. He also maintains the AwesomeCloud data-center infrastructure, including its physical maintenance and monitoring.